…and man I look hot!! Just for the record, William, those are blue jeans. 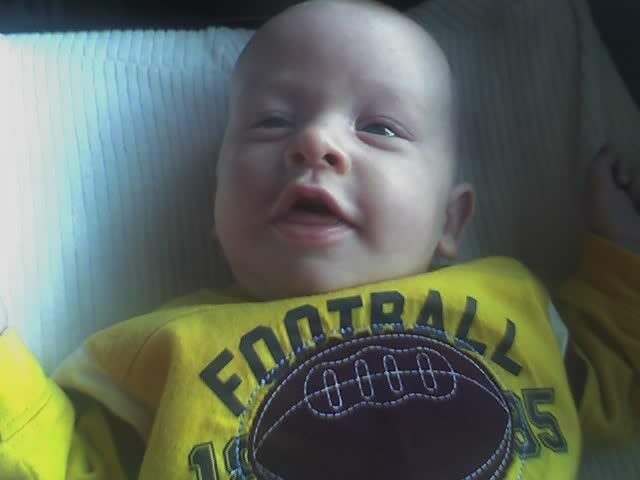 Therefore, he is a Charger fan. awww. 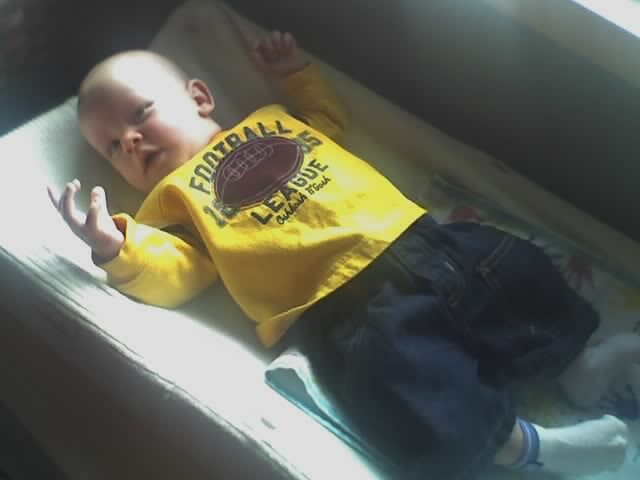 Caleb is a Steelers fan? how cute. Sport them colours Caleb!